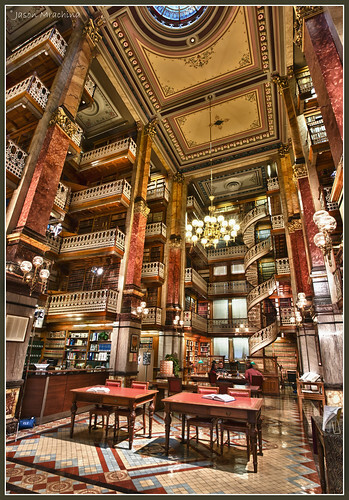 Iowa State Capitol - Law Library, a photo by w4nd3rl0st (InspiredinDesMoines) on Flickr. I have always loved libraries and bookstores. From Shakespeare & Co in Paris to Powell's in Portland I have been known to get lost in the stacks and require assistance for retrieval. Somehow I have never been into the Law Library at the IA state capital. After viewing this photo that must change the next time I am back home. Love it.